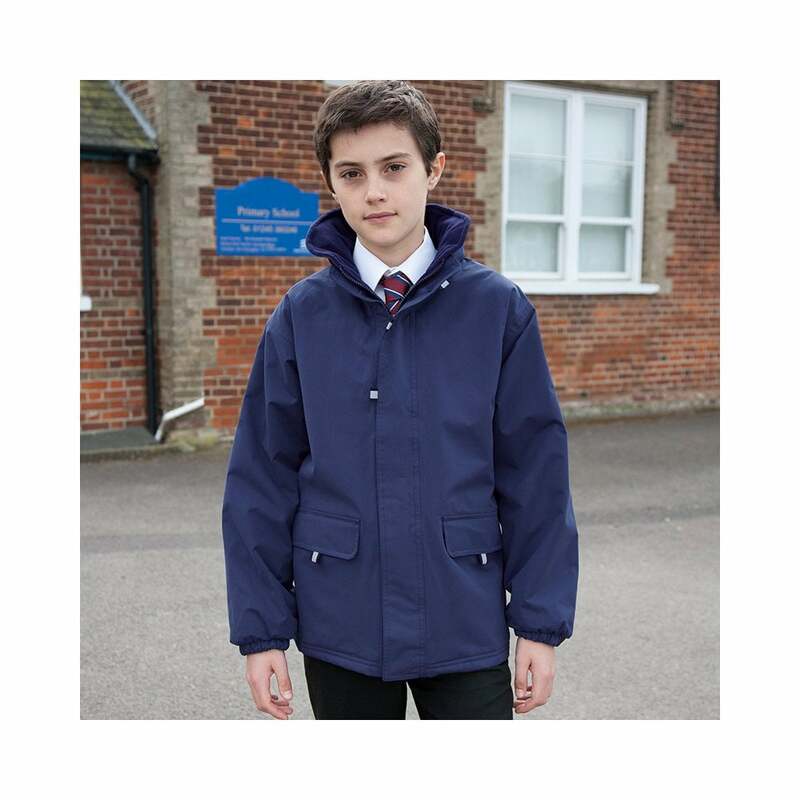 Result Rugged Stuff Lined Long made from a storm dri polyester with a pvc costing this coat is perfect for school children of all ages. It features a concealed hood in the collar and an anti pill fleece inner. It is available in 6 colours that match most school uniform colours.